Honestly, a lot of us are kind of sick of talking about guns. I know I am. I think it’s such a misunderstood topic that no one could possibly begin to bring the change they want so badly, at least not in my lifetime. However, I’m one of the people who strongly believes that if you say nothing then you are only part of the problem. That being said, I’m going to do what everyone is already sick of just because it needs to be done. The National Rifle Association has deemed it appropriate to oppose Democratic changes to the Violence Against Women Act strictly because of the new gun restrictions they proposed, barring people with misdemeanor convictions like domestic abuse and stalking from buying guns. 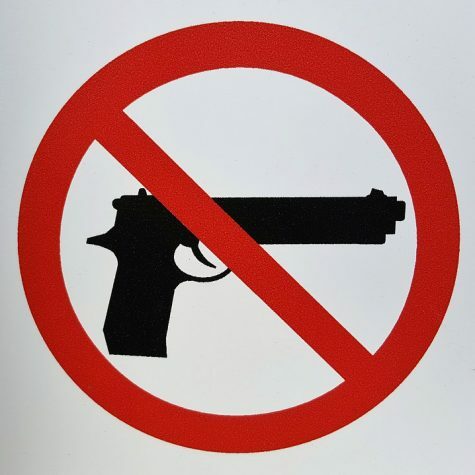 Of course, under the Lautenberg Amendment a person convicted of certain domestic violence crimes is prohibited from purchasing firearms, but through a little thing called the “boyfriend loophole,” abuse victims are still at risk. The loophole refers to a portion of the amendment that dictates it can only be applied to abusers who are or once were married to, living with or have a child with their victims. That means current/ex-boyfriends or dating partners convicted of domestic abuse are free to purchase guns at any point in time. However, the changes proposed would put an end to the “boyfriend loophole,” something the NRA is now advocating through their actions. They are fighting tooth and nail to stop it, calling for a “no” vote and scoring lawmakers on how they voted to measure future endorsements and ratings for potential elections. Along with their action against these changes, the NRA forgets the important purpose this law serves: the people it’s meant to protect. According to the American Journal of Public Health, the presence of a gun in domestic violence situations increases the risk of homicide for women by 500 percent. More than half of women murdered with guns are killed by family members or intimate partners. Without VAWA, each of these women become more at risk for something they’re already victims of. I couldn’t agree with her more. The issue wasn’t about guns until the NRA made it about guns. All people really asked for was adaptations to a law that would protect women and other victims of abuse. The NRA failed within the House of Representatives, undoubtedly, as the changes were passed earlier last Thursday, 263 to 158, but that still doesn’t change the fact that the NRA is trying to back every lawmaker into a corner from which political intimidation is king. To think that any professional organization — especially one already wrapped up in a nasty bit of controversy — would want to act that way for the entire world to see is astonishing. It’s truly shocking to see the extremes people will go to when driven by such an irrational desire to spread a message that only provokes hate and anger. Now, as the issue continues to be about guns, members of the House are becoming more vocal about how the final vote should proceed within the Republican-majority Senate. “Do not let the NRA bully you,” Rep. Debbie Dingell said to the House before the vote. Dingell, a Michigan Democrat, even noted to the rest of her colleagues that her recently deceased husband was a member of the NRA and yet she had not allowed her connection to influence her actions. The House remained impartial and clear-headed for this decision, making them stronger than some of the other questionable people we allow to act as politicians. I can only hope that the Senate will follow their lead. If they don’t, then why shouldn’t Americans say that the NRA is the Senate? After all, if our legislators allow themselves to be dictated by them, then who are we really voting for?